PENTAX DSLRs: Could we use the DA/DA* lenses on a full frame camera? Part 2. I'm ready to fully test the DA/DA* lenses on a 35mm FF and the K20D. Could we use the DA/DA* lenses on a full frame camera? Part 2. I'm ready to fully test the DA/DA* lenses on a 35mm FF and the K20D. I purchased a Pentax ZX-30 from Ebay last week. I paid $41.00 plus a little less than$10.00 for shipping. The camera is like new. 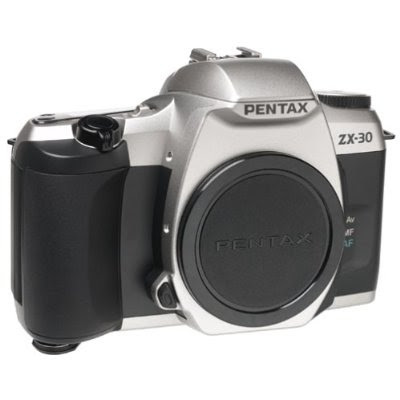 It's not that the ZX-30 is a special camera, but it is an auto-focus 35mm and it has about the same shooting modes than the Pentax DSLRs. I can use newer AF lenses that have no aperture ring, and set the camera to aperture priority. 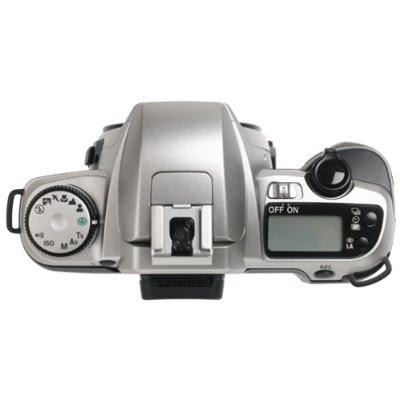 In other words, the aperture is selectable within the camera body. My intent is to use this 35mm camera and the K20D to compare the results of shooting with each of the DA/DA* lenses I can get my hands on. I will test at least one lens each week, until I am caught-up with the DA/DA* lenses I currently have. That won't be very long. However, I may be able to borrow lenses from other photographers so that in the end, we will know which DA/DA* lenses works with a full frame camera. We don't know that Pentax will ever have a full Frame or an APS-H like it was rumored all over the Internet last week, but they might. 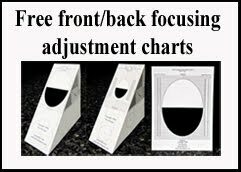 Many Pentaxians are afraid of purchasing DA/DA* lenses because the image circle could be too small for full frame DSLRs. I guess that the wider angle lenses will be vignetting some. Stay tuned for the upcoming tests. I will likely have one lens tested before the end of the week. I did a preliminary test before (Link) and it was encouraging, but not conclusive. Here is how I plan to test the lenses. I will use a tripod and set one camera at a time. I will shoot the same subject at the same distance with both cameras. using the same lens. (One at a time of course). I will shoot from the smallest aperture to the largest aperture in one stop increments. The results will be posted here, side by side. Thank you for reading. Let's put this problem to rest. I'm deleting my RSS feed to your site. I just don't care about FILM in the digital world. DA means DIGITAL. There will never be a 35mm equivalent DIGITAL camera from Pentax. Period. The writing on the wall is 500 feet friggin' tall. Dear Anonymous. I am not going back to 35mm cameras either. How else can you test if a DA/DA* lens would have a big enough image circle to cover full frame when Pentax does not have a full frame yet? You do that with a 35mm camera and have the pictures transferred to CD. In the event that Pentax does make a full frame or even an APS-H, you want to purchase lenses that will work with both if all possible. Is that too complicated? 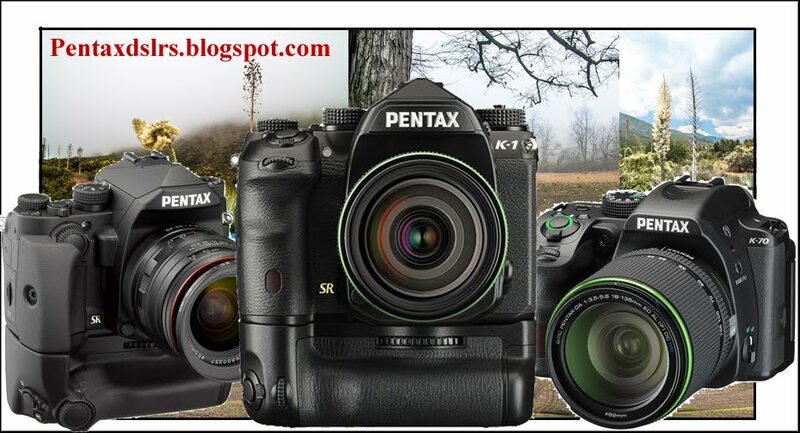 Whether Pentax will produce a full frame camera or not remains to be seen. It’s not written anywhere on a 500 ft tall sign. I am not so presumptuous, as to predict the future. Deleting your RSS feed does not affect anyone, I don’t think. Beside, if you already deleted the RSS feed, you can’t read this anymore. That’s what anonymous comments are about! DA refers to the coatings on the rear lens element that reduces the flare produced by light that reflects off the CCD chips. DA does not mean APS-C coverage. 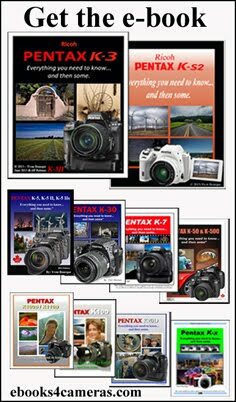 Many people shooting digital still use their Pentax film cameras (myself included) and want lenses that can be useful on both. Obviously, there are some lenses that cannot fulfil this role because they were created specifically for APS-C sensors, like zooms with the wide end in the 16-18mm range for example. But other DA lenses may work fine on full-frame, and that's what Yvon wants to figure out. The same way auto makers tried to convince everyone that they needed a huge truck or SUV just a few years ago, camera makers today are trying to convince everyone that you need full-frame in order to take better photos. Both were/are wrong. If you want to know my opinion on the subject, you can find it here. If you cannot live without a full-frame camera, then please sell all you Pentax equipment and go to a brand that can provide you with what you want. Nobody is forcing you to shoot Pentax, and most certainly nobody is forcing you to read this blog, which I might remind you, is provided free for your entertainment and education. If you think Yvon is wasting his free time by writing this blog for you and other Pentax users, then please send him an e-mail and suggest other productive activities he might engage in instead. Actually DA means more than digital. According to Pentax it also means APS-C only (even if we know that this is untrue, eg: DA*200). Thanks Yvon for testing some lenses against a full frame "captor". Yea, one has to consider what's gonna happen in future. For example, I'm very much interested now the new 35mm macro performs on FF. So I hope it gets tested. Oh... and does it's 1:1 magnifitaction apply to 35mm or the aps-c. I was under the impression (from what I recall) that DA lenses are APS-C and DFA have the same coatings but are designed to work on both APS-C and full frame. 1:1 means the projected image has the same size as the original object, it doesn't matter the sensor size. For example, if your camera's sensor has the size of an ant, and you are using an 1:1 lens to take a photo of... an ant, the image the lens project will cover the whole sensor. But when using the same lens with a larger sensor, the ant's 1:1 projected image will cover only a small part of the sensor. So, the ant will look 'smaller' in this image, even if the image the lens projects on the large sensor has the same size it projects in the smaller one. In both cases, it is 1:1 (the projected image has the same size as the ant), even if the ant looks larger in the smaller sensor. I'm glad you stayed with us. You see how many Pentaxians are willing to help! While DA lenses were initially introduced as APS-C image circle lenses, a number of them appear to project a full-frame image circle. Of course, Pentax aren't going to officially admit as much as this would spark a full-frame hysteria of epic proportions, so I think it's perfectly reasonable for Yvon to clear these muddy waters himself. It also seems reasonable to conclude that, in practical terms, "DA" no longer means "APS-C only". When you get prints from films at any shop, they usually correct some defects found on the negative (such as light falloff on the borders). I think it'd be good to ask the shopkeeper for no corrections, so the results would be more controlled. Your post inspired me to do something quite impulsive yesterday: I made a bid on a ZX-30. Before I really knew what had happened, I had won the auction and was responsible to pay for a ZX-30 which "Works very well but is used and has some sand in certain parts of camera from a vacation in Florida. This may have affected the lens when trying to focus (it sticks just a little)." I then realized I had just purchased a film camera which will likely just sit in a closet along with a Canon AE-1 Program. Without having either an enlarger or a film scanner, I'm afraid that I don't know what to do with film. I hope the camera I just purchased does turn out to be in good condition, but I'm afraid that, unless I purchase a decent film scanner, I won't be able to make use of it. Well, I purchased a used ZX-30 sothat I could test the DA/DA* lenses on what they would do if Pentax were to build full frame camera. I did that so nobody would have to buy one in order to test the DA?DA* lenses. On the other hand, I get the film developed at Costco and ask for a CD of the pictures. No need for a scanner. But frankly, I will probably never use the ZX-30 after I'm done with the lenses comparison. I paid $41.00 so I'm not going broke onthis. Can you tell me what is the resolution of the images Costco is giving you on that CD? The last time I received images on a CD, they were only 1800x1200.